MMA Fights Pasadena Highlight Video Proving Grounds 7 | MMA Fighting Events Videos Techniques UFC Fight Picks and News. Saturday night we stopped by the Fight Academy MMA gym in Pasadena to witness "Proving Grounds 7". 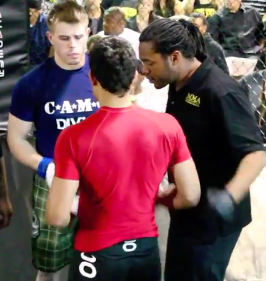 This was a CAMO sanctioned MMA (Mixed Martial Arts) event put on by Savant Young and the Fight Academy. While the Proving Grounds 7 MMA event was held at the Fight Academy Gym, and it's a small venue, the crowd was awesome, and the fighters came to fight! The Hashishans reggae band opened up the show with their smooth tunes. Final Round Fight Gear and Fight Me Clothing both had booths and were in attendance supporting the event, it's fans and the fighters. UFC ref Herb Dean was also a the special guest ref. Check out some of the MMA fight action from the show. Here's a highlight video we put together of Proving Grounds 7. 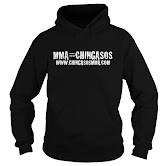 There was a little bit of everything as MMA usually exhibits, Muay Thai, BJJ (Brazilian Jiu Jitsu), wrestling and straight out bar room brawling chingasos! Stay tuned for info on upcoming MMA events in the Los Angeles area, as well as updated MMA gym videos and info. Also, We'll be posting pictures from Proving Grounds 7 on our Facebook.